Our Pediatric Pulmonology practice provides diagnosis and comprehensive care for the full range of lung and respiratory disorders including Bronchitis, Bronchiolitis, asthma, chronic lung disease, cystic fibrosis, chronic cough and other respiratory issues. 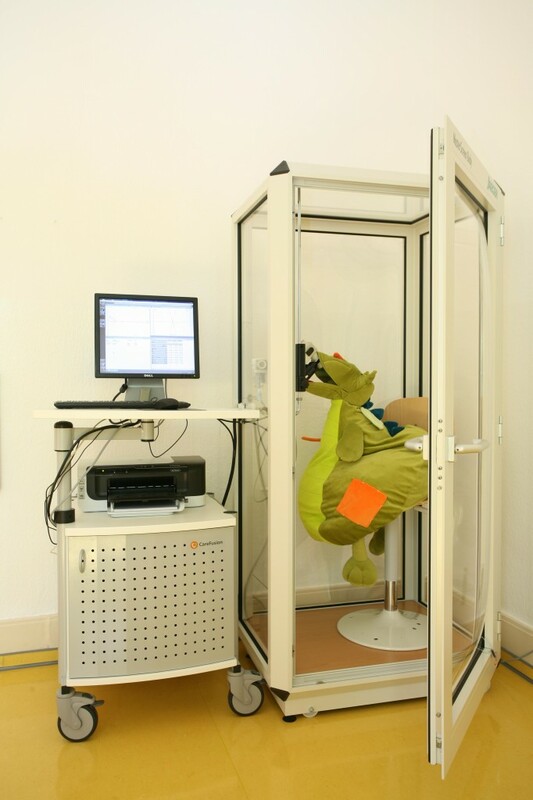 We have a very special lung function machine called whole body plethysmograph. The system measures the trapped air in the lungs and the airway resistance, two very important parameters for the treatment of asthma and other lung diseases. We also offer the methacholin challenge and the reversibility test to asset in the diagnosis of asthma and the sweat test for cystic fibrosis or mucoviscidosis.